Overview: Fringed by the azure waters of the Mediterranean along its western coast, Lebanon offers an enchanting blend of sandy beaches, breathtaking mountains, fertile valleys, historic cities and a wealth of archaeological sites waiting to be explored. All this is contained within the country’s relatively small borders encompassing a landmass measuring just 225km long and 46km wide. Once referred to as the ‘Paris of the Orient‘ thanks to its impressive architecture and cosmopolitan feel, the Lebanese capital, Beirut, is one of the great seaside cities of the Mediterranean, commanding a magnificent position perched on a promontory and surrounded by the sea. One of its most celebrated attractions is the palm-tree lined seaside promenade known as The Corniche, which skirts the glittering waterside for almost two miles from downtown Beirut to the picturesque Pigeon Rocks. It is lined with restaurants and cafes and is a popular destination for families, joggers and walkers and fishermen. Beyond the capital there is also much to discover. Lebanon is home to five designated UNESCO World Heritage Sites reflecting the country’s rich and varied cultural heritage with the Phoenicians, the Romans, Christian Crusaders, Islamic, Mamlouks, Ottomans and the French all having left their mark. These include the one of the oldest Phoenician coastal ports, the fortified Byblos, 40 km north of Beirut and the haunting remains of Baalbek on the south western slopes of the Anti-Lebanon range – arguably one of the finest examples of Greco-Roman civilization to be seen anywhere. Other unmissable sights include the lush and fertile Bekaa Valley dotted with historic vineyards, the magnificent cedar forests and many religious and Islamic sites as well as the fascinating cities of Tyre, Tripoli and Anjar. Outdoor activities are also an increasing draw, with several nature reserves and many areas of unspoilt wilderness to enjoy by foot or bike, whilst in the winter months, the mountains are a popular destinations for skiing, snowboarding and cross country skiing. Finally, Lebanon‘s cuisine is considered the richest of the region. From hummus to Kibbeh and Tabouleh , you’ll dine like a king. With legendary sights, hospitality and food, what more could a traveler want? Overview: With its man-made islands, opulent hotels and iconic buildings, the United Arab Emirates (UAE) has always been a show-stopping, headline-grabbing destination, offering an intriguing blend of Islamic culture and modernity. The world watched spellbound as billionaire Emiratis built mega structure after mega structure, seducing slack-jawed tourists and expats with everything from the tallest building Burj Khalifa to bustling souks, sprawling tax-free shopping malls and decadent hotel brunches. Explore the country’s luxurious side and be pampered at the reams of five star abodes and spas, flex your credit card with world-class designer shopping or dine at gourmet restaurants. Alternatively, visit the nation’s less showy attractions including the buzzing Creek with traditional abra boats, and a vista dotted with mosques and markets, or the Falcon Hospital where tours teach visitors how to care for the UAE’s royal birds. Meanwhile, the vast natural desert offers endless discoveries via exciting modes of transport from hot air balloon and quad bike to helicopter or sand board. Or simply mix up a blend of everything; after all, that’s what makes the UAE unique. Overview: If travel is most rewarding when it surprises, then Iran might just be the most rewarding destination on Earth. If you fancy travelling somewhere neither East nor West, and exotic and fascinating yet perfectly comfortable, read on.. Deep in Empire: Walking around the sublime, turquoise-tiled domes and minarets of Esfahan’s Imam Square (Naqsh-e Jahan), the awesome power and beauty of the Achaemenid’s ancient capital at Persepolis, the mud-brick alleys and rooftops in Yazd, and the wonderfully immense Elamite ziggurat at Choqa Zanbil will put you in the footsteps of some of history’s most outstanding figures. These highlights, together with the atmospheric teahouses, bustling bazaars, deserts punctuated by historic oases and rugged mountain ranges, gives Iran more than its fair share of fantastic places to see. But to think of Iran only in terms of ‘sights’ is to miss the real story. As well as spiritual richness at the north east there is a city of Mashhad, where Imam Reda (as) Holy Shrine attracts millions of visitors yearly. Redefining Hospitality: If you like people, you’ll like Iran. The Iranians, a nation made up of numerous ethnic groups and influenced over thousands of years by Greek, Arab, Turkic and Mongol occupiers, are endlessly welcoming. Religion: Islam /98% Muslim, 2% consists of Christian, Jewish, Zoroastrian and Baha’i faiths. Overview: A richly historical land with some of the best cuisine you will ever taste, one of the world’s greatest countries and scenery from white-sand beaches to soaring mountains. 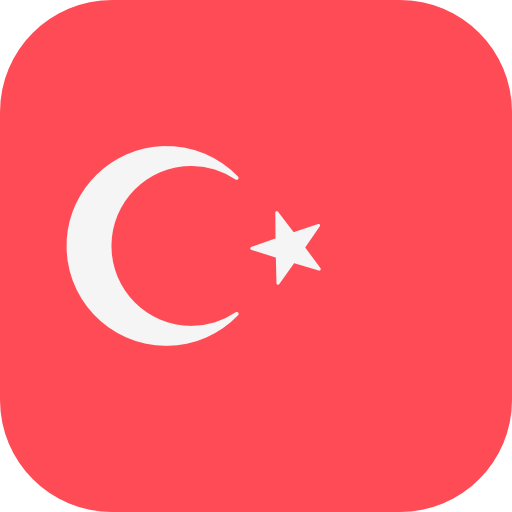 An Epic History: When you set foot in Türkiye (Turkey), you are following in the wake of some remarkable historical figures. Ottoman sultans used to luxuriate in Istanbul’s Topkapi, surrounded by fawning courtiers, harem members and riches from an empire stretching from Budapest to Baghdad. Landscapes & Activities: The greatest surprise for first-time visitors to Turkey, with its stereotypes of kebaps, carpets and moustachioed hustlers in the bazaar, is the sheer diversity found between its Aegean beaches and eastern mountains. In Istanbul, you can cruise – on the Bosphrous as well as through markets – in a Westernized metropolis offering equal parts romance and overcrowded insanity. In holiday spots such as Cappadocia and the southwestern coasts, mix trekking, horse-riding and water sports with meze savoring on a panoramic terrace. Then there are the less-frequented eastern quarters, where honey-colored outposts overlook the plains of ancient Mesopotamia, and weather-beaten relics add lashings of lyricism to mountain ranges. It’s hardly surprising Turkey has attracted so many folk over the centuries. Come and discover their legacy for yourself.